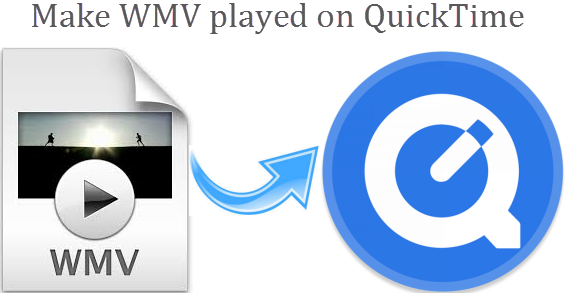 Outline: It’s always not easy to play WMV (Windows Media Video) files with QuickTime player, What’s the matter? Why can’t QuickTime play AVI videos? Just read on to find the reason and two solutions to solve your problems without any trouble. WMV (Windows Media Video) is a very popular video format which is widely used today. If you have a lot of WMV movie files and want to play them on QuickTime, you’d better convert WMV to QuickTime compatible format – MOV format. Due to QuickTime is not a universal media player for Windows or Mac computer. Natively, it supports only a few video formats: 3G2, 3GP, DV, MOV, and various MPEG options, including MP4. So how to play (Windows Media Video) WMV in QuickTime player? Fortunately, Hivimoore shares two solutions for you. You can install Handbrake and MPEG Streamclip applications, this is how I found to do it. Step 1. Open Handbrake.com, free download, install and run it on your computer. Then load your WMV files to the program, and choose MP4 as output format. Lastly, convert the WMV file to MP4. Step 2. Using MPEG Streamclip, convert the resulting MP4 to MOV (the process can take considerable time depending on your movie size/length) NOTE: Last update to the software was in 2012. So be aware that it may or may not work well on your system. There are other free converters out there too that can convert MP4 to MOV. But this 2 step process is what I found to be effective. This is a simple, safe and fast solution: just download the top WMV to QuickTime Converter from Hivimoore.com, a convenient video conversion application for Windows or Mac, include the latest Windows 10 and macOS Sierra, and change the format of your WMV videos to QuickTime MOV with 30X faster conversion speed with zero quality loss. Also, you can just as easily convert QuickTime movies to any other video format for various players, devices and other applications. It helps convert common WMV files to MOV in SD/HD/4K/3D with just three simple steps. It helps convert DRM-pretected WMV files from Amazon to MOV in SD/HD/4K/3D with just three simple steps. It helps convert MOV to WMV in SD/HD/3D with just three simple steps. In addition to MOV, it converts WMV videos to more than 159+ formats, including H.265 MP4/MKV, HD MP4, AVI, FLV, VOB, TS, M4V, MKV, MPG as well as common various videos etc. 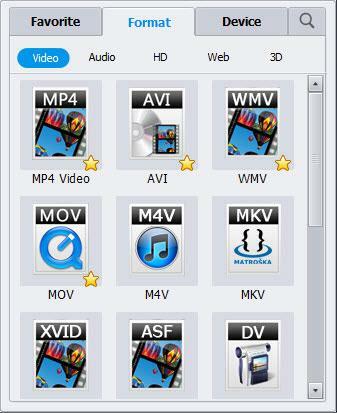 Besides WMV, it can also convert other videos to MOV, including AVI to MOV, MKV to MOV, VOB to MOV, MPG to MOV, MP4 to MOV, M4V to MOV, H.265 to MOV, etc. Edit your WMV or MOV files before or after converting them. It provides with built-in editing tools, like Trim, Crop, Subtitle, Watermark, etc. Adjust parameter settings according to your requirements. Extract audio from your WMV or MOV video files as MP3, WAV, WMA, AC3, AAC, FLAC, M4A, MKA, DTS, OGG, AIFF, etc. Convert WMV to QuickTime, iPhone, iPad and other devices with the optimized presets. Download online videos or burn your WMV/MOV videos to DVD as you wish. See how easy it is with this step-by-step guide. Step 1. Free downlaod the application on your computer, install and launch it. Open the converter, go to “Convert” menu and then click “Add Files” button to load your WMV video files you want to convert. Or, you can also directly drag and drop the WMV files into the program. If you want to specify the output folder, just click the three dots beside Open Folder to choose your desired folder. Note: This app offers function of bacth conversion, you are allowed to convert several WMV files to MOV files at one go. Step 3. Select MOV as QuickTime Compatible Format. If you want to convert WMV to MOV for using on QuickTime, you can go to “Format” -> “Video”, select “MOV” as output format. Or choose HD/4K MOV from “HD”, 3D MOV from “3D”. The optimized default settings ensure a good balance between WMV to MOV conversion speed and quality. 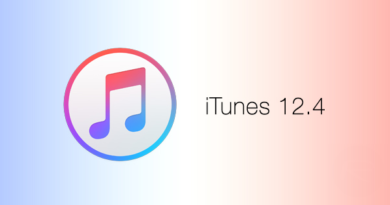 If you are planning to transfer the converted files to your iOS devices like iPad, iPhone or iPod etc. you can choose the presets supplied by the professional Video Converter so that you needn’t set the resolution, frame rate etc. by yourself. And the presets are contained in “Device”>”Apple” category. If you are demanding in high quality, you can adjust parameter settings to improve output video quliaty. The first one is to select codec as “H.264” rather than “MPEG-4”, cuz H.264 is known as MPEG-4 Part 10 – Advanced Video Coding (MPEG-4 AVC), providing much higher quality than MPEG-4. Turn up Frame Rate to 25fps or 30fps to guarantee a sharper image for output video. Adjust Resolution up, how about 1920x1080p or 1920x1200p? And you can even increase resolution to 4K Ultra HD or 8K Ultra HD based on your original WMV video quality. Certainly, you choose High Quality and you will lose comparatively faster speed, for you can’t have cake and eat it. Hit “Convert” and let this smart WMV to QuickTime Video Converter do the rest for you! If your WMV video files is quite large, around 1GB and over 1 hour in length, don’t be worried, the whole WMV to QuikcTime MOV conversion will not cost your wonderful afternoon time. If you want an free application, you can take solution 1, If you want the speed and robustness of a dedicated application that you can use solution 2. It’s up to you. As long as you use one of the solutions presented above, you can view all WMV videos on QuickTime player as entertainment. How to Convert Videos to H.265 (HEVC) Video on Windows or Mac OS X?